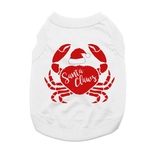 It's okay to be crabby at Christmas with the Santa Claws Holiday Crab Dog Shirt in White! 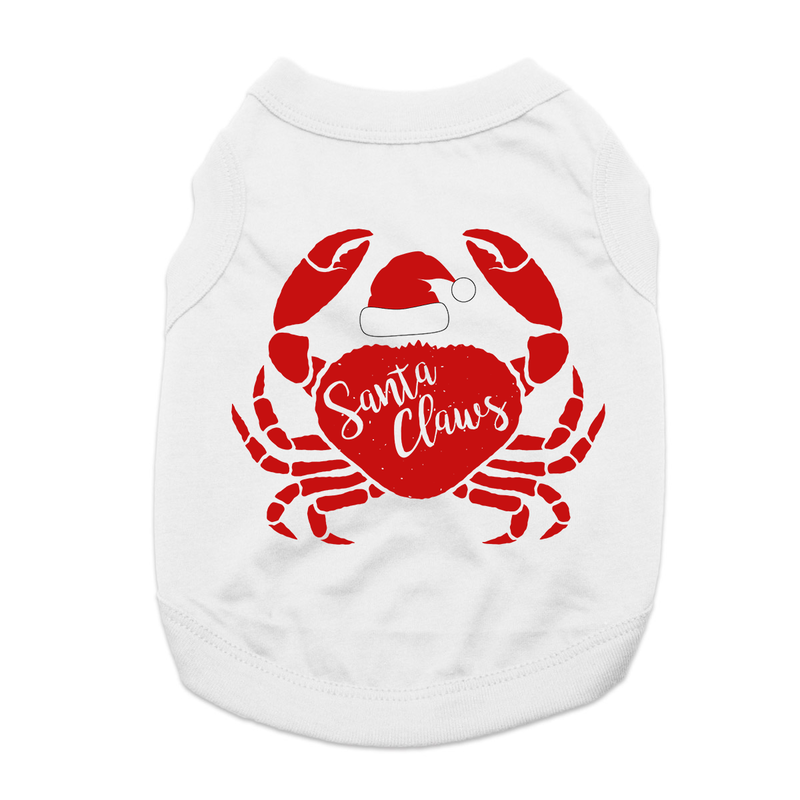 The Santa Claws Holiday Crab Dog Shirt will bring out smiles and some fun at the beach this season! This dog tank top features a sleeveless style with a high-cut, stay-dry belly for the ultimate comfort and convenience. This exclusive design is printed right here in our BaxterBoo.com T-shirt Shop for your dog and is available in a wide range of sizes to outfit the whole pack! The 100% cotton is breathable and comfortable. Machine wash cold and dry flat for best results. Great for holiday gifts and stocking stuffers! Corney but oh so cute! Posted On 11/30/18 by Denise N from , NY Yes, Denise N recommends this product! 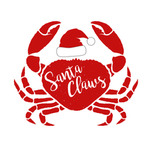 Santa claws with a crab??? How unique is this!!! Well if you live in a warm climate, this shirt is for your fur baby. And if your fur baby LOVES to EAT crabs then this is a must have!!!! Light weight cotton, could size up and put a turtleneck under if you live in a cold winter climate. Medium fit my 7lb baby girl perfectly.